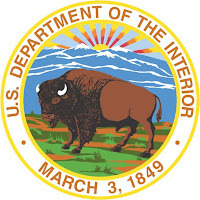 With the completion this month of the review of the U.S. Department of Interior’s U.S. Fish and Wildlife Service by the U.S. Equal Employment Opportunity Commission [EEOC], dated June 6, 2010 the extent of human resource mismanagement at the Department has been further documented. Taking sharp issue with current Interior policies, EEOC has found continued under representation of minorities and policies that re-enforce ‘personality driven’ human resource management. The Blacks In Government Interior Chapter [BIG] points to its recent White Paper findings as further collaboration of this review showing a Department wide problem driving diversity and diversity of opinion out of management, out of employment and delivering bad public policy decisions adversely affecting all Americans. BIG sees the recent oversight failures contributing to the Gulf oil spill crisis as a direct consequence of ‘good old boys’ out of touch with commonly held American values. Citing a 1948 Executive Order by President Harry S. Truman; the 1964 Civil Rights Act; the Equal Employment Opportunity Act of 1972; and President Carter’s Reorganization Plan mandating the same standards for Federal employment as those in the private sector, EEOC has issued a stinging rebuke to current Interior diversity practices at the U.S.Fish and Wildlife Service. Secretary Salazar was hand delivered the BIG White Paper report documenting many of these concerns last fall. BIG leadership is deeply concerned that Secretary Salazar has not appointed a new point person on workforce diversity since Robert Stanton left that role last fall. It has been filled by an ‘acting director’ for half a year. Equally disturbing, senior Interior staff seem to be out of touch with the sensitivity and urgency of stopping the flow of talent out of the organization and leaving weak management in place over critical American assets, like oil industry oversight. Despite assurances from the department, not a single new accountability standard to increase diversity has been implemented or discussed with BIG’s leadership. The accountability standards currently in place are the same as those in place as a ‘check off’ on a form. As further confirmation of inaction by key personnel, BIG points to the case of Stewart v. Department of the Interior where “intentional race discrimination” was found at the Bureau of Ocean Energy Management, Regulation and Enforcement on May 8 of last year. The Department quickly issued a final order on June 17, 2009 adopting remedies ordered by the EEOC’s Administrative Judge Martin. In that finding “AJ Martin strongly encouraged the Agency to institute a panel selection system which requires the full complement of all protected classes be represented, for all selections, regardless of grades…to help ensure the absence of discrimination in future selections and provide evidence of the Agency’s proactive and preventive measures.” As of today, the Agency continues to operate status quo, not in compliance. My garden is giving me great joy this summer. I have everything growing back there and I am feeding about 6 other households on my suburban block. Maybe if I am successful with chickens, I might get ambitious and go for a couple of pigs. That way I could use the organic waste generated in the house. 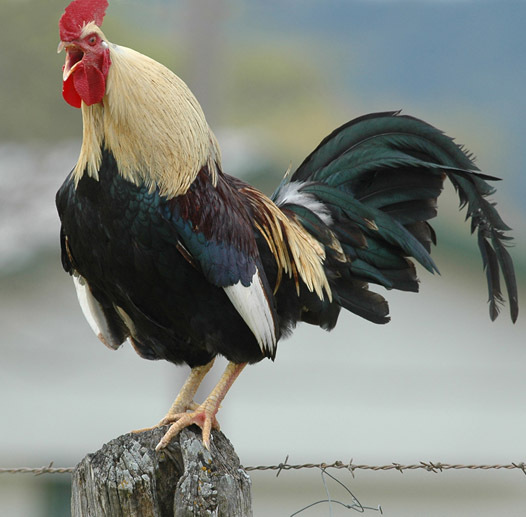 But is it legal to raise livestock in the suburbs of Washington, D.C.? Yes it is. In the Washington area, the District alone has an outright ban on farm animals, but suburbs such as Montgomery, Prince George's and Fairfax counties allow pigs, chickens, goats and other livestock under certain conditions. I'm going to name my rooster Rooster and maybe get 3 hens. I'll produce my own eggs and use the egg shells to fortify my garden plants with calcium. Three hens and a rooster should generatte about a dozen eggs a week I hope. And I think they will be 'free range.' I will let them run around in the garden. I already put up a deer fence. It wouldn't take much more effort to make it chicken exit proof. All organic of course. The garden fruits and vegetables, the animals and the fence. Do you know an everyday person who is changing the world? 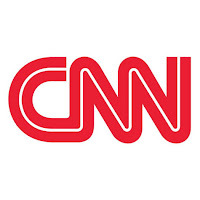 Your nomination of a 2010 CNN Hero could help the person that inspires you achieve even greater recognition and success. 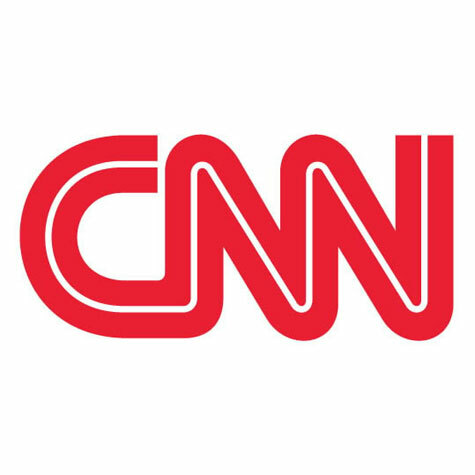 The Top 10 CNN Heroes of 2010 each receive $25,000 and will be honored on our Thanksgiving night global telecast, "CNN Heroes: An All-Star Tribute." Help us share your Hero’s story with the world -- click the link below and submit your nomination today! July is the last month to nominate someone for consideration. African Americans do not own energy infrastructure in the United States [except maybe Nigerian-born Kase Lawal]. Of the roughly 4,000 oil production rigs in the Gulf of Mexico, none of them are owned by Blacks. The BP Gulf Disaster will put more pressure on large and small firms alike to operate in the Gulf of Mexico as a result of the BP accident. The possibility of Blacks getting into the offshore oil business in the Gulf of Mexico just became impossible. AAEA will continue to examine this issue as we address mitigation of the disaster. Darryl Willis, left, is Vice President for Resources at BP America and is the head of BP Claims Process. He testifies on Capitol Hill and is the face of BP's TV claims commercials. Some are praising Mr. Willis' performance and critics complain that they 'send out a black man' when they get in trouble. There is also criticism that while Mr. Willis is describing how claim payments are moving smoothly, numerous people in the Gulf area are complaining about the slowness of the BP claims process. Now that President Obama has established a $20 billion dollar escrow account to speed up the claims process, it will be interesting to see what happens with Mr. Willis. let us just hope that claims are paid swiftly. Livelihoods are at stake. Christopher Pleasant, left, a subsea supervisor with Transocean, presented testimony before the Deepwater Horizon joint investigation hearing on May 28, 2010. Chris Pleasant, the man in charge of the blowout preventer and other well systems on the sea floor, said he was part of lengthy discussions about fluid losses during a negative pressure test about four hours before the accident. Drillers were "unsatisfied" with the negative test, which returned 15 barrels of mud, rather than the ideal of no mud released. And yet, the top drilling official on the rig, an Offshore Installation Manager and BP's well designer on shore testified previously that they believed the pressure tests were successful and no cause for concern. Mr. 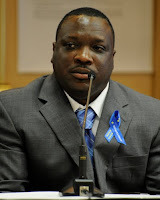 Pleasant was under oath and appeared to be very straightforward in his testimony. That might not serve him well professionally going forward. 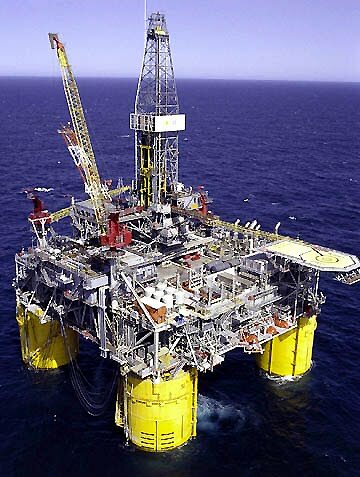 AAEA is concerned that of the more than 4,000 offshore oil wells in the Gulf of Mexico, none of the leases are held by black-owned companies. We appreciate that professionals such as Messrs. Willis and Pleasant work for major oil companies and drilling rig firms, but Blacks should be lease holders and rig owners as well. Blacks in Government (BIG) have also raised the issue of few to no blacks in MMS management positions overseeing offshore drilling. From 2001 to 2007, Wilma Lewis, left, was a partner at Crowell & Moring LLP, where she specialized in complex civil litigation and internal investigations. 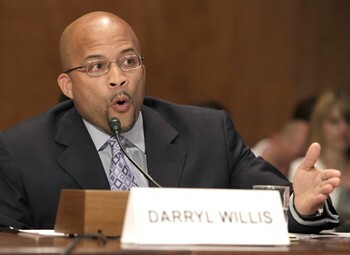 Lewis, a former United States Attorney for the District of Columbia (1998-2001) and Inspector General at Interior, was confirmed Assistant Secretary for Land and Minerals Management by the U.S. Senate on August 7, 2009. From 1995 to 1998, Lewis was the Inspector General for Interior. 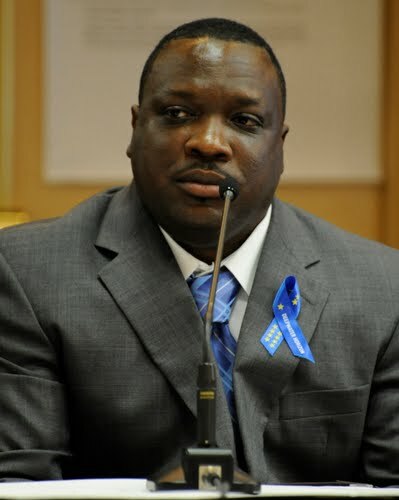 Before serving as IG, Lewis was an Associate Solicitor at Interior from 1993 to 1995, managing and supervising the Division responsible for handling equal opportunity compliance, administrative law, personnel, torts, contracts and ethics matters. From 1986 to 1993, Lewis worked in the Office of the U.S. Attorney for the District of Columbia, where she was lead counsel on behalf of the United States in a wide assortment of civil cases in both federal trial and appellate courts, and subsequently served in supervisory and management positions in the Civil Division. Lewis is a graduate of Harvard Law School, where she received her Juris Doctor degree in 1981. She was awarded her Bachelor of Arts degree in Political Science, with distinction, by Swarthmore College in 1978, where she was elected to Phi Beta Kappa. The assistant secretary ensures that the lands and natural resources of the 256-million-acre National System of Public Lands, including the National Landscape Conservation System, and 1.7 billion acres of the Federal Outer Continental Shelf are managed to meet the needs of the American people. The office also provides oversight on federal royalty management, regulation of active coal mining and reclamation, and restoration of abandoned mined areas. Production of federal energy includes renewable resources, coal, oil, and natural gas. Mineral resources include metals such as gold, industrial minerals such as potash used for fertilizer, and construction minerals such as sand and gravel. A focus of the office is balancing the nation’s need for clean, affordable energy, minerals and other public land resources with a strong program of stewardship and environmental protection while achieving value for American taxpayers. Management goals are accomplished by engaging America’s local communities, partners, volunteers and youth. Last year, the state met three federal standards for reducing ozone and fine-particle levels and we are on the cusp of meeting a fourth. Air toxics have been cut nearly in half in the past decade. Carbon monoxide and lead have been virtually eliminated from the air. To meet the requirements of Maryland's landmark Healthy Air Act, the largest coal-burning power plants have installed "scrubbers" to remove pollutants. The Healthy Air Act -- the most sweeping air pollution program ever in Maryland and the toughest power plant emission law on the East Coast -- requires reductions in emissions of nitrogen oxide, sulfur dioxide and mercury. The Maryland Clean Cars Program includes standards for model year 2011-and-later vehicles that significantly reduce volatile organic compounds and nitrogen oxide emissions (along with greenhouse gases that contribute to climate change). The federal government is working toward tougher standards for power plants in other states and for industrial boilers, cement kilns, and motor vehicles. In the 1970s and 1980s you could routinely see and smell air pollution in Maryland, but the Clean Air Act amendments of 1990 set the stage for change. After steady but slow improvement early on, air quality has dramatically improved over the past six years. Volatile organic compounds (VOCs) are released into the air when we drive and use such products as fuels, paints, household cleaners, and personal hygiene products. Nitrogen oxide (NOx) is emitted when fossil fuels are burned. These compounds form ground-level ozone when cooked by the sun. Breathing ozone can cause respiratory problems. NOx deposits contribute approximately one-third of the nutrient pollution in the Chesapeake Bay. Sulfur dioxide is produced by the burning of fossil fuels containing sulfur compounds. It is the most significant contributor to the problem of fine particles, which creates haze that decreases visibility and is linked to premature death and heart and lung problems. Maryland's weather and geography are also factors. Power plant pollution from the Ohio River Valley rides the wind into Maryland, while Chesapeake Bay breezes act as a wall of cool air that concentrates pollution along the Interstate-95 corridor. On certain days, southerly winds carry pollution that is funneled into Maryland by the Appalachian Mountains to the west and the Atlantic Ocean to the east. At certain times, as much as 70 percent of the pollution in our air comes from other states. To address this, Maryland is part of the multi-state Ozone Transport Commission, which works to implement regional requirements. We have pressed EPA to propose stringent new controls, in part, because the reductions are needed and, in part, because it is a matter of fairness. All power plants should have to do what Maryland's plants are already doing. We need to also emphasize the importance of strong national requirements for emission reductions in improvements to the Chesapeake's water quality. Maryland will continue to press for tougher national and regional standards. With the advent of summer -- when air pollution levels typically peak -- you too can help. This summer, our meteorologists tell us we can expect more ozone action days than last summer. Please visit MDE's website for three-day air quality forecasts, sign up for email alerts or call the air quality hotline at 410-537-3247. Blacks In Government Question Interior "Good Old Boys"
Citing the lack of diversity among senior managers at the Department of Interior, Blacks In Government [BIG] sees the same cozy ‘good old boys’ network as contributing to the failed oversight of the Gulf oil disaster. At Interior, there are diminishing numbers of black males at the GS-15 level and fewer minorities in virtually all levels of senior management. BIG’s leadership at Interior is raising questions about this type of senior management environment all too insular to people ‘not like them.’ This cozy network, of having Federal regulators oversee safety compliance and revenue as contributing factors to the current Gulf oil disaster, is the same cozy network of attitudes BIG has identified in its recent White Paper on race relations at Interior. BIG is encouraging Secretary Salazar to hold these departments accountable and shake up the ‘good old boys and good old girls’ network of relationships when the nation’s best interests are at risk. The Office of Personnel Management reported to Congress that Interior was the only agency from 2002 to 2009 that did not meet its Relevant Civilian Labor Force [RCLF] representation. Of all independent federal agencies, Interior experienced higher Black departures than it had new hires. This annual golf tournament is named in honor of the late John Chambers, an original member of the Washington Government Relations Group (WGRG) and one of its first presidents. The tournament benefits the WGRG Foundation, which offers fellowships to deserving college students looking to pursue a career in Government Relations. John Rosenthall is the tournament organizer, which was held on the South Course at Andrews Air Force Base. The WGRG is an organization dedicated to the enrichment of African-American government relations professionals. As a non-partisan, independent, volunteer association, their members represent a diverse cross section of corporations, financial institutions, law firms, trade associations and non-profit organizations on various policy matters in the state, federal, and international arena. The WGRG helps foster both professional and social advancement amongst its membership through a variety of regularly scheduled educational programming and events that bring together stakeholders and key leaders from the public and private sectors. Additionally, the WGRG has a non-profit charitable giving arm, the WGRG Foundation, which, among other efforts, helps fund the Terri Grier Memorial Fellowship Program for African--American students in their final year of undergraduate or graduate study in political science or public/government affairs. AAEA has joined the Energy and Climate Change Coalition (ECC Coalition), which addresses the issues in its name. The ECC Coalition was formed as a result of the "Energy and Climate Change: Implications and Economic Opportunities" (the Summit) forum. The Summit attracted over 100 attendees, including the leadership of the leading minority associations, think tanks, civil rights organizations, non-profits and non-governmental organizations (NGO’s) active in the energy and climate areas. It was held on January 28, 2010 at the Heritage Center of the United States Navy Memorial in Washington, D.C. AAEA was a stakeholder panel participant at the summit and is a founding member of the ECC. To provide a credible voice for people of color on the issues of energy and climate change policy. This educational Summit will focus on economic opportunities and impacts to vulnerable populations, providing a valuable dialogue leading to a set of principles to be presented to key policy officials in Congress & pertinent government agencies, including the Executive Branch.  Policies that create jobs and ensure small business opportunities for minorities in the energy and clean technology sectors, including federal and state incentives and requirements to promote diversity in hiring, procurement, contracting and access to capital.  Education and training programs to prepare minorities for careers and business ownership in the array of services and technologies necessary to develop and deliver cleaner, more diverse, domestic energy sources. 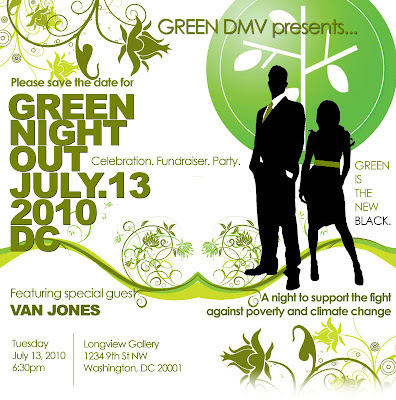  Public awareness and outreach initiatives aimed at developing energy efficiency and conservation programs for minority and low- and fixed-income communities, thereby lowering greenhouse gas emissions.  Resources and incentives for vulnerable communities to help them adapt to climate change impacts and transition to lower-carbon economies, while ensuring environmental justice protections. The "Report from the AABE Energy and Climate Change Summit: Implications and Economic Opportunities," represents the comments and discussions of the participants at the summit. 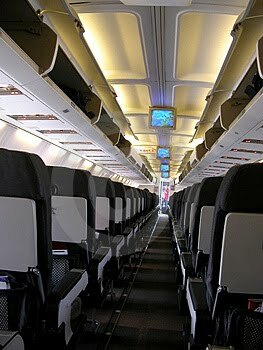 I was unexpectedly sprayed with a pesticide on a South African Airways flight from Dakar, Senegal to Johannesburg, South Africa. Just before takeoff, an announcement was made that the plane would be sprayed and about a minute later, flight attendants walked down both aisles with a can of pesticide in each hand spraying throughout the cabin. All I could do was put a hankerchief over my nose, lean down in my chair and take shallow breaths. I prayed that I would not start reacting. I am a chronic, acute asthmatic and this was my worst nightmare: an 8 hour flight facing me and I was just sprayed with a pesticide. One whiff of such vapor can send me to the ICU, or what my doctor friends call "I see you later." I lived but vowed to take up this issue on behalf of all travelers involuntarily exposed to being sprayed with a pesticide. I know that this practice, known as "disinsection," endangers the health of both passengers and flight staff. I was just lucky. If given a choice, I would have gotten off of the airplane. Who initiated these pesticide applications, and who is responsible for the results of this practice? Not the airlines--they say it is required of them by the governments of various countries. But while authorities in those countries may be ordering the procedure, they are also acting on the recommendations of a United Nations affiliate, the World Health Organization WHO). The application of these pesticides inside of occupied airplanes in other countries is outside of the Environmental Protection Agency (EPA) and Federal Aviation Administration's (FAA) regulatory areas of responsibility. The US Department of Transportation (DOT) website lists the countries that require in-flight spraying. No U.S. agency requires pesticide use on planes. The World Health Organization has long held that the pesticides are safe for aircraft use when the active ingredient in an aerosol makes up no more than 2% of its ingredients. The application method varies by country and airline. Typically, a pressurized spray containing 2% phenothrin or Permethrin #216 is sprayed over the passengers' heads during the flight (called "top-of-descent"). According to the Fair Air Coalition, people who have allergies or asthma or are pregnant and are booked on a flight requiring onboard spraying can request an exemption. The exemption only works if the spraying is done after landing. If spraying is scheduled after boarding you can ask them to spray after landing. The exemption will allow you to get off before the spraying on the ground, but no other passengers can deplane. Passengers with a letter from their doctor saying they are allergic to insecticide are usually allowed off the plane when the spraying is done after landing. Some nations require passenger airplanes arriving from other countries to be sprayed with insecticide to protect plants, animals and people.